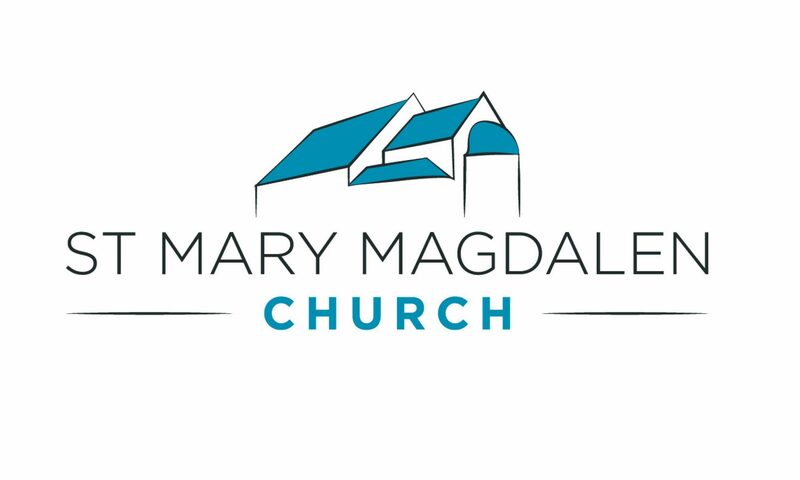 Welcome to St Mary Magdalen Church – we are the church with the blue roof in Chapelfields, Coventry. We are an Anglican congregation in the Catholic tradition of the Church of England in the Diocese of Coventry with a heart for social justice. We are “liberal” and “inclusive”, recognising that everyone is made in God’s image. Accordingly, we welcome all into our midst, irrespective of their age, gender, marital status, sexual orientation, nationality, physical or mental abilities, culture, background or their present or past situations. A short, dementia-friendly church service followed by coffee and cafes and conversation. All are welcome, regardless of denomination or creed. Ideal for those who find it hard to keep standing and sitting throughout a normal service, this is a service without hymns and followed by our Lunch Club. Short service of Communion quiet and meditative without hymns. With hymns, choir, incense, and Sermon this is a traditional service for all the family. Imagine – one night where no one has to make supper! Instead everyone gets to enjoy making a craft, playing a game, learning about the God who loves us, and enjoying a meal together! Messy Church is a fresh new way of experiencing church. It’s creating, worshipping and sharing a meal together. It’s for all ages. It’s fun. It’s family friendly. It happens when you arrive – come as you are able. 4:00 p.m. Welcome. You may arrive anytime through the evening. You are never ‘late’ for Messy Church. 4:15 p.m. Crafts and Activities for all ages and interests. Julian meeting are for people of all denominations — or none — who wish to join with others in contemplative silent prayer in the Christian tradition. A brief reading and / or piece of music leads into half an hour of silent prayer, followed by another reading and more silent prayer. The whole meeting lasts around an hour, and is followed by tea and coffee. Relax your body and quieten your mind. Be open to God in the silence. God is with you — here, now. Do not strive or be anxious. Be silent, be still and let God reach you. Come experience sung night prayer (compline) by candlelight. A beautiful and contemplative way to end your weekend! Please enter the Church by the wooden door on the right of the Magdalen Centre, on Sir Thomas White’s Road. Refuge blends contemporary worship music with a reflective and contemplative atmosphere at Mary Mags church. We’re exploring an adventure in faith that is attracting young people, the older members of our community and everyone in between. Refuge includes singing and maybe a short talk or a chance to respond through creative activities. There’s always great coffee and cookies from 6.15pm, with the event starting at 6.30pm and ending about 7.30pm. All welcome. Explore a new way to worship. In this short, contemplative service of prayer, we spend an hour in the presence of Jesus. We begin and end the hour with short spoken prayers, and sometimes music, but for most of the service we pray together in silence. In our Eucharist services that take place earlier in the day (at 8am and 10am), our Priest follows the example of Jesus, and gives thanks for our bread and wine, blesses it, and distributes it to the congregation. We do this because on the night before He died, Christ said “This is my body, which is given for you. Do this in remembrance of me.” (Luke 22.19). Following His words, we believe that Jesus is present in the bread and wine at our Communion services. After the Eucharist service, a piece of bread (known as the Blessed Sacrament) is kept back, to display at the Adoration service later in the day. This bread becomes the focus for our thoughts, prayers and love: our adoration. People sometimes ask “what would you do, if you came face to face with Jesus today?”, and in these services we believe that Christ is truly with us, and so the atmosphere of this service is one of humble reverence and self-giving love. The whole Adoration service lasts an hour, to remind us of the night before the Crucifixion, when Jesus found his friends sleeping; and said to them “So, could you not stay awake with me one hour?” (Matthew 26.40). During the rest of the week, the Blessed Sacrament is kept in a cabinet in the Lady Chapel in the Church, and a lamp that hangs from the ceiling is lit to let people know that it is there, so that they can pray in the presence of the Lord. What would you pray, if you met with Jesus today? An opportunity to meet, socialise and change the world (a little) at the same time. In a relaxed and social environment we chat and knit clothing and blankets, which are then given to Syrian and Iraqi refugees. Our group is made up of a diversity of ages, some come to church some don’t. We are also all at different standards in our ability to knit so don’t worry if you drop a stitch someone is on hand to pick it up again or to help you find your place on a pattern. If you are interested in singing, passionate about choral music performed well and want to make some new friends in the community then this choir is the place for you! No experience required, just a desire to make some music with a fun and diverse group of singers. We rehearse for just under an hour, stop for a glass of wine (or two) and then rehearse for another 30 minutes or so. At the end of rehearsal, we head to a pub for drinks and a time to get to know each other. Do you sometimes feel isolated? Do you want to get your child used to playing with others? A safe place for children to play and socialise and for carers to meet with their peers over refreshments. Space to play, toys, singing, craft, baby changing facilities, quality refreshments. Email priest@stmarymagdalen.plus.com or call 024 7667 2976 to register an interest in attending or for more information. The club was formed on 25th April 1974 to provide aged like-minded parishioners a meeting point for a meal, chat and a Communion service. Transport was provided and the total cost was 15p. Although we don’t provide transport nowadays and the cost has risen to £2, the club is still going strong. We meet every Thursday and the Communion service commences at 11.30am for those who wish to attend, followed a little after 12 noon by the meal. The average attendance is 26 including the helpers in the kitchen and usually everyone has departed by 1.30pm. If you would like to join this social occasion and have the ability to make your way to the church, contact us for further details, out phone number and address are at the bottom of this page. St Mary Magdalen Church (you know, the one with the blue roof) is planning an Alpha course that is open to anyone and everyone! If you are at all curious or want to explore bigger questions about life, come and join us! What: Alpha is for anyone curious about the Christian faith, encouraging conversation in an open and friendly environment. We’ll gather each week for some food and to watch a short film, leaving plenty of time for conversation. No question or point of view is off limits! When: Alpha starts on Thursday 21st February from 7.15-9.00pm. It will run for 8 weeks. (We are also planning a longer session on Saturday 23rd March). How do I join: There is no sign-up or anything, but please send a quick email to priest@stmarymagdalen.plus.com (just so we have a rough idea of numbers and have enough food for everyone). This month, St Mary Magdalen Church is celebrating its centenary with a number of special events. On Friday 27th October the church will be open to the public with an archive exhibition, flower displays and refreshments. On Saturday 28th October there will be a Service of Holy Communion in the Lady Chapel at 10am following which the church will be open again until 2.30pm. On Sunday 29th October a Centenary Eucharist will be held at 10am where the guest preacher will be the Very Rev’d John Witcombe, the Dean of Coventry Cathedral. Finally, at 6.30pm there will be a Service of Choral Evensong. Some readers of this page may remember the old “Tin Tabernacle” which stood in Sir Thomas White’s Road next to St Mary Magdalen Church until the early 1960s. Before the “new” church was built in 1934, that tin building served as the church for seventeen years. It was bought from Spon End where it was used as St Thomas’ mission church, and the first services in the “District Church of St Mary Magdalen”, as it became, took place on Sunday 28th October 1917. See our history page for more details. Our Organist and Director of Music, Tim Campain, said “We look forward to welcoming anyone wishing to celebrate with us, either by coming to one of the services or just coming to have a look round our beautiful church. You will be made very welcome, and we would particularly like to hear from anyone who may have particular memories of the Tin Tabernacle itself”.